As part of National Crime Victims' Rights Week, a candlelight vigil will be held April 10 beginning at 7 p.m. in Town Square Park behind Murrieta City Hall. 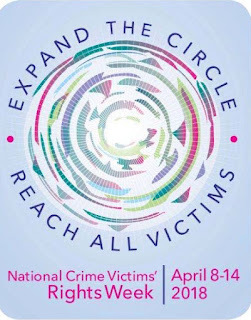 This year's theme is "Expand the Circle: Reach All Victims". It emphasizes the importance of inclusion in victim services. 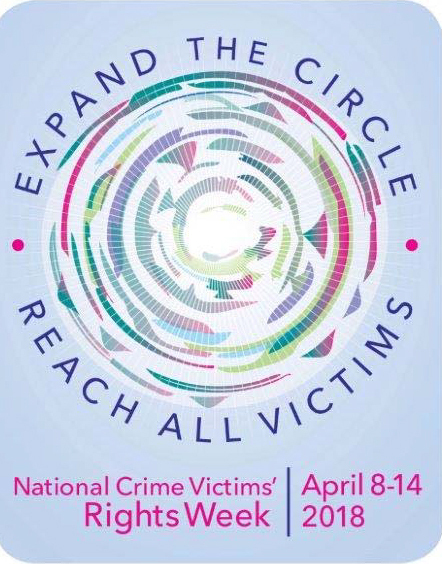 The theme addresses how the crime victims field can better ensure that every crime victim has access to services and support and how professionals, organizations, and communities can work in tandem to reach all victims. The Riverside County District Attorney’s office Division of Victim Services recently kicked off its preparation for this year’s Victims’ Rights Week by creating a "community paper chain" symbolizing how -- joined together -- people can be stronger and provide a better circle of safety and support for victims of crime. The colors in the community paper chain are navy for law enforcement, pink for our community partners, and teal for crime victims. A community paper chain will be created in each of three candlelight vigils in each region – Southwest, Eastern, and Western -- held this week.